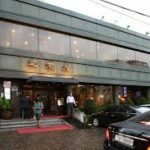 Did you read our blog post about 50 years History Restaurants in Seoul Part 1? So here is the second part of the blog. 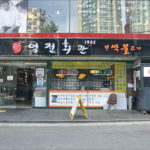 Here we gonna introduce 10 more restaurants in Seoul that really famous and remain their’s original taste of the dish. 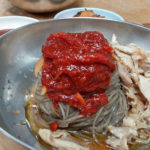 There’s unknown “Euljilo4ga” specialty famous Seollongtang restaurant. At “Woolaeoak ” the entrance. 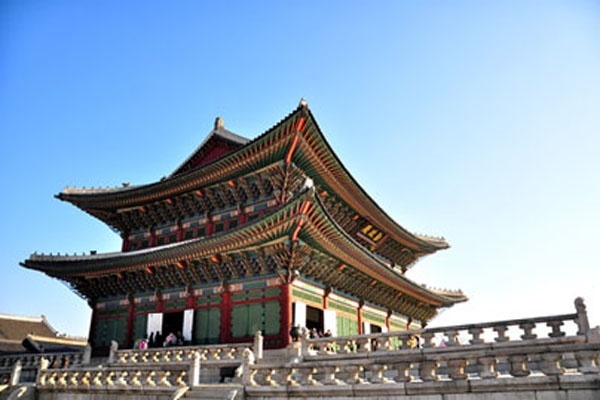 It has just the appearance of a Seolleongtang typical house in Seoul. 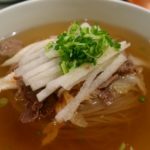 The broth is plain without heavy taste. 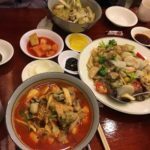 This restaurant Use “Dongchimi” for their soup brotht. But it writes very deep mixed with the fresh taste of meat broth neat. The old-established in mugyodong (multihull). 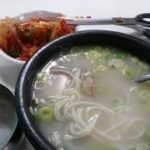 There are widely advertised the merits Chuncheon makguksu way to Seoul. 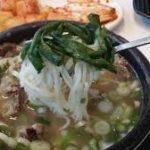 Continue to have well-established basing such as Gangwon way makguksu, suyuk, baeksuk. 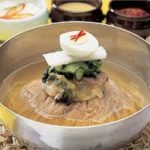 There also similar Gangwon Sundae. 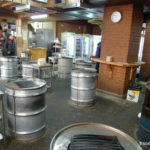 There is also “No Seat and Not Selling Rice In this special Galbi Shop. 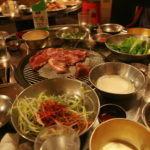 With the special “stand to eat” ribs House near the Sinchon Rotary. 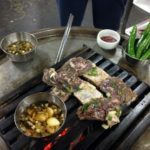 You can only order liquor and also Galbi . Consider as uncomfortable way to eat. 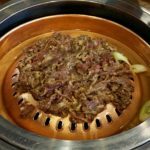 Mapo, near the roundabout of merit wheres ordinary specialty Pork ribs are focused menu. Gyeongui an aid to open the home pork ribs days (1955) statement was shabby houses near the railroad. 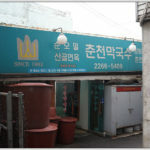 In 1960s Seoul, the ending of Mapo’s well-established area and the beginning local Seolleongtang. The building is new construction but the place is just old. There Hall on the second floor. Seolleongtang note, there is a quartz Seolleongtang. ‘Anton’ is named Shandong Province. “Andongjang ‘is a well-established by Chinese. 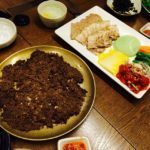 Their Mul-Mandu consider as Standard class and JJangppong feel refreshing 構? with the super taste. 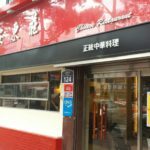 originally it was chinese food Restaurant but now they are focusing on is now JJangppong, jajangmyeon, mulmandu. 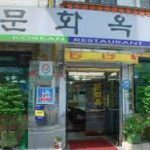 This entry was posted in FOOD and tagged 50 Years, 50 Years History Restaurants, activity in Korea, delicious, dining in Korea, Food, food in Korea, food in seoul, history, Korea, Korea trip, livingfood, Mapo, original, recommend, restaurants, Seoul. 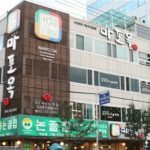 [Accommodation Highlight] AFFORDABLE accommodation near ITAEWON!